A short video that showcases the "Hand Made" aspect of the upcoming 946. Also, we have some more late-breaking news. Vespa have produced a video highlighting the hand made aspect of the new 946. Bringing the worlds of fashion and art together to create one very special unique piece. With the interest and anticipation surrounding the 946, Vespa have now updated the thinking behind the model. Latest news would reveal that the 946 will no longer be a - one off, shut down the production line build. 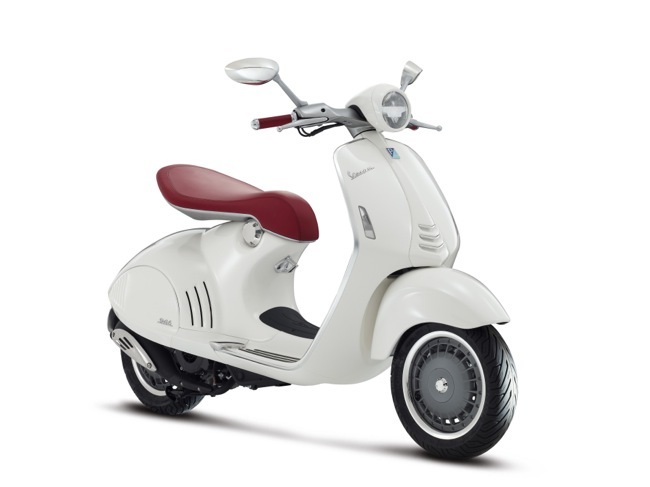 Instead, Vespa will now update this model over the coming years, each run producing a revised colour and theme. The build numbers will still be limited, it's just that each model will revolve around the latest trends in fashion. New pricing, delivery details and colours are now questions back on the agenda. More details as we have them. Official press release for the new Scarabeo 200 in Blue. Australian version will also wear the optional Italian sticker on the front. John Sample Automotive is pleased to announce the addition of the striking Blue Scarabeo 200 for 2013. 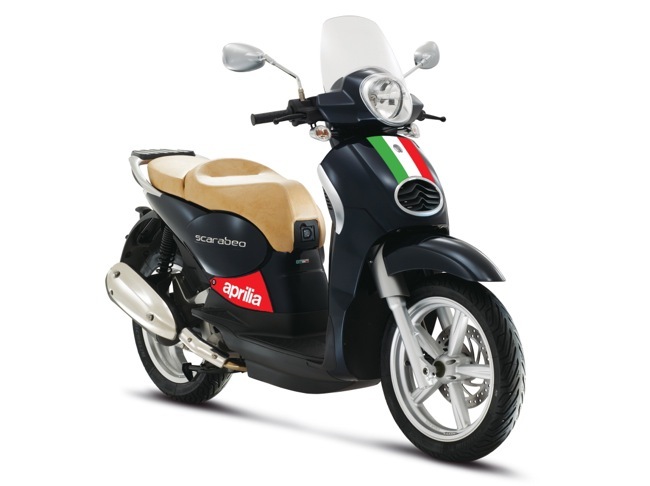 The Aprilia Scarabeo 200 scooter is one of the most popular in the range and this colour emphasises its sportiness and Italian heritage even further by wearing Italy’s international sporting colours. The new colour will be available from June so customers should contact their nearest authorised Aprilia Scooter dealer or visit http://www.aprilia.com.au/scooters. "Down Down Prices are Down". 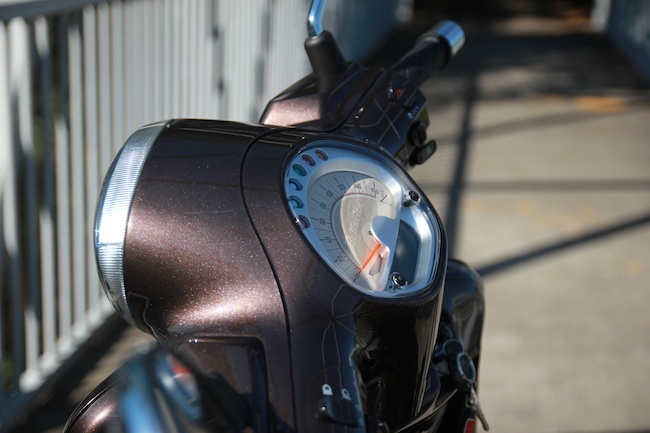 Piaggio Australia reduces the injected Liberty by 500 bucks. I get asked these questions all the time, "What should I buy, what's the best scooter for my money". I was only thinking about this the other day when I came to the conclusion that these are no longer easy questions to answer. We now see so many good commuter scooters in and around the $3000 mark. The choices have become endless and picking a bad one is becoming harder and harder. Piaggio have now added fuel to the flames. Reducing the Piaggio Liberty 150 is a bold move. The Liberty is a fine scooter. Fuel injected 150 cc engine, big wheels, excellent handling. The Liberty features a flat floor and adequate storage under the seat. The Liberty is a top notch commuter. Piaggio's Fly 150 is already Australia's number one selling scooter. The Liberty will now sit beside the Fly at the same list price, $2990 plus on roads. 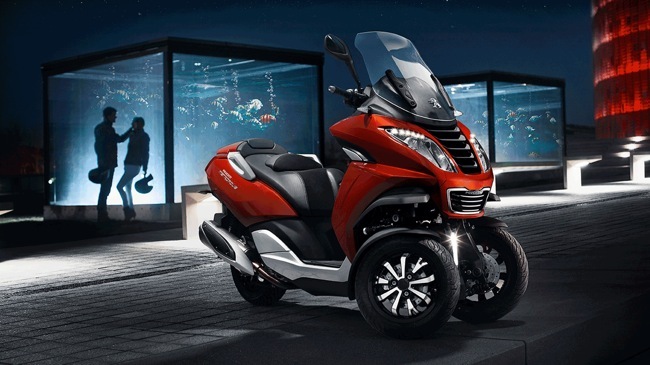 This gives Piaggio Australia two key options in the entry level 150 cc segment and it'll be very interesting to see the sales split moving forward. The press release below states the offer is whilst stocks last. 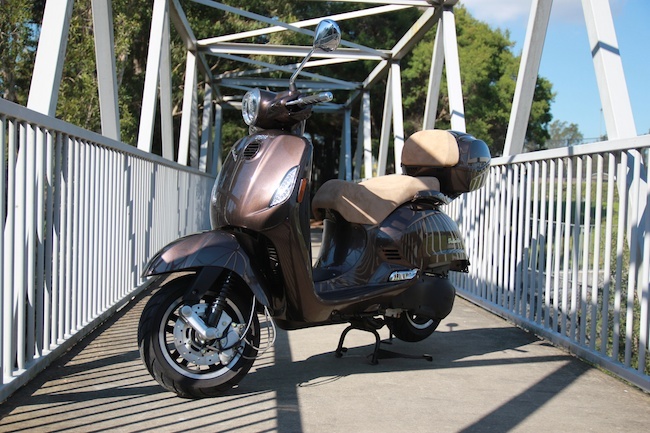 Piaggio Australia has announced the popular Liberty 150 i.e. has been reduced to a new low MLP of $2990 representing a saving of $500. 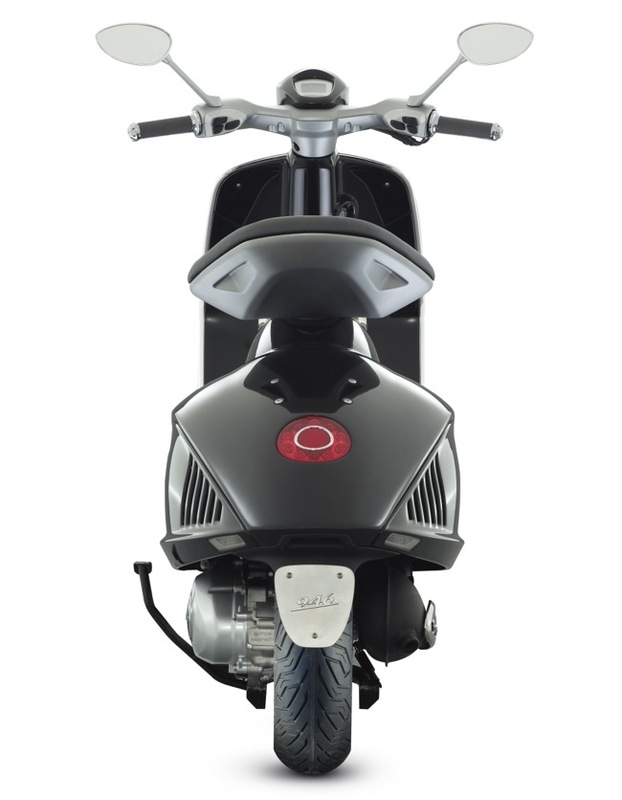 The Liberty 150ie applies world class Italian scooter technology and is one of Piaggio's longest enduring models providing a robust and dependable large wheel commuter option in the entry level scooter category. Now with an advanced fuel injected motor and electronic key coded immobiliser Liberty boasts one of the highest levels of specification for a bike in its category. Other features include side stand with engine cut out safety switch, fold out passenger pegs, under seat storage and 5000 klm service periods. Large diameter rims, 15' front and 14' rear soak up the bumps around town and make commuting a breeze on this supper efficient commuter. You will need to be quick as the price reduction is only while stocks last. Our ongoing series of updates on TGB's Bellavita 300. This time we take a look at items like performance and servicing. We've covered over 2000 km's now on TGB's Bellavita and as yet no faults to report. Being made in Taiwan, it wasn't like we were expecting a whole bunch of issues anyway. The Bellavita has always felt like a quality, well put together machine, quite impressive that this is TGB's first attempt at this model. The 300 class engine continues to prove itself one up or two. No need to shy away from fast flowing motorway or freeway sections, the Bellavita will hold its own. Worth mentioning that high speed stability has proven itself to be its strongest suit. The Bellavita has also proven itself convenient. I've mentioned before the combination of top box, flat floor and helmet hooks all working well in its favour. I find it a great machine for riding two-up. The passenger sits pretty and they get their own backrest. Worth noting that the passengers feet don't get tangled with the riders. The body is holding up well. I do keep the Bellavita relatively clean and garaged so the chrome bits still look good. The body work has a few marks and scratches from where I've been carrying some fairly large items in the floor area. Most of these though I find will polish out easily. If they don't, I'm thinking of just replacing a few panels if needed down the track, something of a bonus on a plastic panelled scooter. Since we reported in last time we've had a chance to compile a series of performance figures. The Bellavita has a suggested power power output of 17.5 kw's, it produces this at 7500 rpm. We've confirmed a GPS timed 7.2 seconds for the Bellavita reaching 80 km/h. The Bellavita will go on to reach 100 km/h in just under 10.5 seconds. Not a bad figure considering the TGB was loaded up with camera gear and had the rear box fitted. Top speed of the Bellavita is a GPS verified 135 km/h at which point the Bellavita was showing 144 km/h on the dial. With more room or on a downhill stretch the Bellavita will pull over 140 km/h and do it in a capable smooth manner, there's no feeling of head shake or uneasiness at these speeds. This was really surprising and shows me that TGB has not skimped on frame or suspension quality. Probably helped also by the weight of the Bellavita which is a solid 153 kg's. Fuel consumption is averaging out at 3.7 litres for every 100 km's travelled and this gives the Bellavita a range of around 250 km's total. The Bellavita will hold 8.8 Litres of fuel and when that last bar on the fuel gauge starts flashing it's time to fill the tank (believe me on this one). When filling the tank you must hold the nozzle at the top of the tank entry, this way I find the fuel flows nicely. Brakes are working well. The left lever is the one I use the most, this operates linked discs front and rear. The right hand lever operates the front disc only, I find myself using this only in hard braking situations. The first service has been carried out. Service only took an hour and was pretty painless when the bill arrived. Oil looked clean when dropped and the rest of the service involved changing the spark plug and checking over major components. Looks all fairly easy and accessible. No oil filter on the Bellavita so that regular service cost is not there. Next service is at 4000 km's. Only negatives continue to be the factory supplied original fitment tyres. Next we'll throw on a set of Pirelli tyres and report back on the difference, I'm betting it's huge. I still find the riders seat a little hard after a long ride. Fast, convenient and reliable the Bellavita has proven itself a favourite around the office. The convenience factor is a big plus, the engine providing plenty of confidence across a large range of uses. It's one of those scooters that does everything well, a one scooter fits all type. 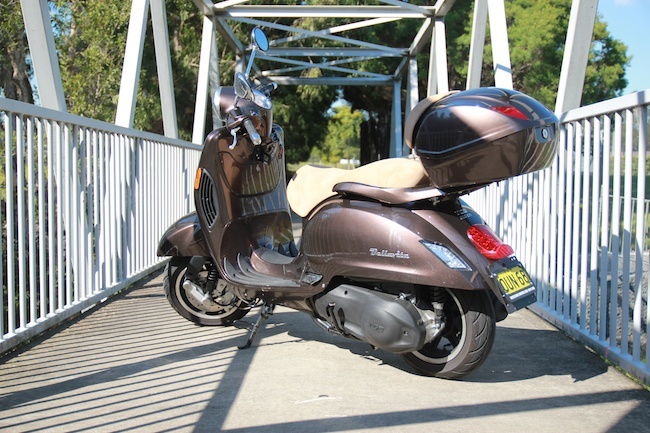 The Bellavita does usually find itself being compared to the Vespa GTS range. It's clear that TGB have used the GTS as the template and this tends to bring on the comparisons. I look at the Bellavita as an Asian built alternative. Don't overlook the Bellavita, I've found it truly capable, cheap to run and extremely convenient. It's also excellent value, with most dealerships at, or under, $6000 ride away with the colour matched box fitted. The Bellavita 300 by TGB, a good looking scoot for the weekday commute, a fun machine for when the weekend rolls around. Nice one TGB. The MotoGP partnership continues with new fleet of Aerox scooters for 2013. The official press release from Yamaha Europe that announces the supply of paddock scooters for the 2013 MotoGP season. These scooters are used by MotoGP support staff to get around crowded MotoGP paddocks. The scooter used is the latest Yamaha Aerox R as sold in Europe. These scooters look pretty damn cool in special grey paint and the R style bodywork. Each Aerox is powered by a liquid cooled 50 cc engine. Read more in the official Yamaha Europe presser below. 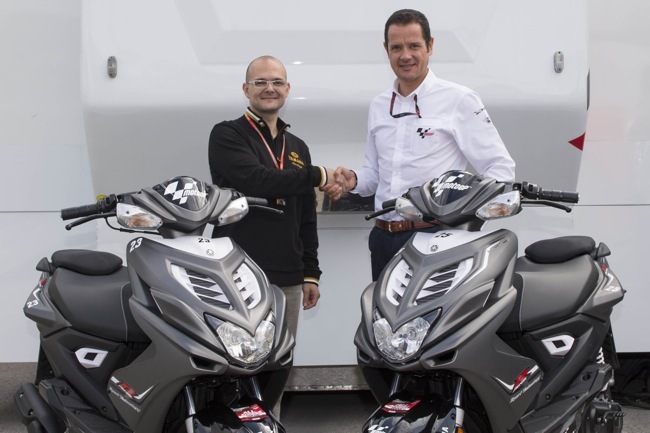 Yamaha Motor Europe will once again supply a fleet of official paddock scooters to Dorna Sports, the exclusive commercial and TV rights holder for MotoGP™. 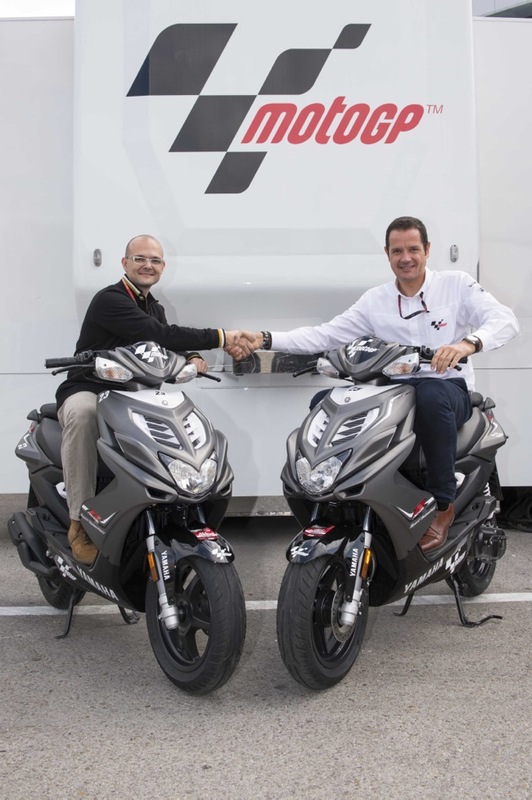 Yamaha has been the Official MotoGP scooter supplier to Dorna Sports since 2005, and during this period the two companies have established a strong working relationship. For 2013 Yamaha are supplying a fleet of 25 units of the latest Aerox R, a high-specification 50cc 2-stroke scooter which features R-series supersport-style bodywork and a new sports chassis. Each of the 25 Aerox R models will feature special graphics and logos to celebrate their official MotoGP paddock scooter role, and during the coming season these sporty 50cc scooters will become a familiar sight as they transport Dorna staff around the busy paddock and circuit facilities. Yamaha presented the Aerox R scooters to Dorna at an official handover on Friday 3rd May at the Jerez MotoGP. Founded in 1988 and based in Madrid, Dorna Sports is an international sports, marketing and media company with offices in Barcelona, London and Tokyo. Dorna Sports has held the exclusive commercial and TV rights for the FIM World Road Racing Championship (MotoGP) since 1992. The series can trace its roots back to 1949, making it the oldest motorsport FIM World Championship in existence today. Today’s MotoGP series is regarded as being the premier motorcycle racing championship, and features some of the closest and most exciting racing to be seen anywhere in the world. The 2013 MotoGP Championship runs from April through to November, and comprises 18 rounds taking place in 13 countries across 4 continents. Lots happening at Let's Scooter on Sydney's Northern Beaches. Here's just a quick snapshot. Introducing the Let's Scooter inaugural charity ride. 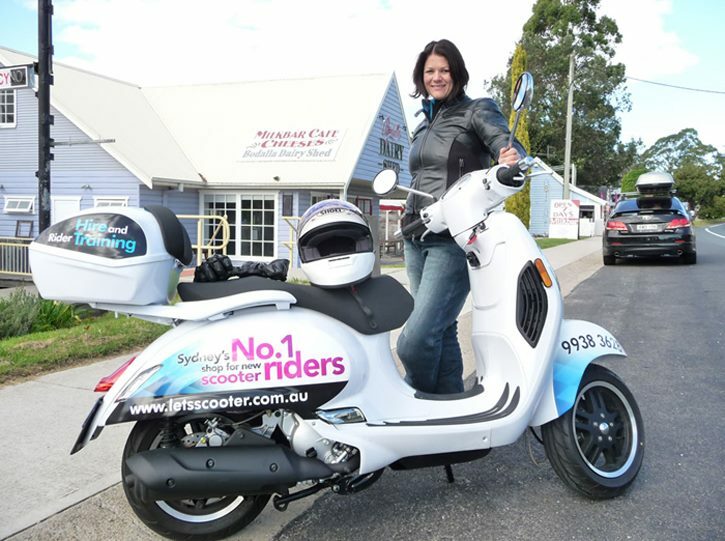 In 2013, Let's Scooter is proudly supporting beyondblue. beyondblue is working to reduce the impact of depression and anxiety in the community by raising awareness and understanding. Empowering people to seek help, supporting recovery, management and resilience. Come and join us for a great ride day out and help us raise funds and awareness for this fantastic charity. Starting at 9:00 am, Let's Scooter will host a breakfast BBQ at 10 West Street Brookvale. This will be followed by a group ride out to West Head via Church Point. Spot prizes will be awarded to participants on the day from ride sponsors. If you are interested in getting involved in organising or sponsoring this ride event, please contact us 02 9938 3628. WIN a $100 VOUCHER to spend in our store by suggesting the best name for my new TGB Bellavita 300i scooter. I've always named my motorcycles or scooters, choosing names after I've had an opportunity to bond with my new baby and I know I'm not alone in my quirky naming habit! I've been bonding with my new TGB Bellavita 300i, but as it's a marketing scooter (see photo below), it doesn't quite feel like mine yet. I need a name to call my new scooter and this will help with the bonding process. I love riding her. She is unbelievably powerful. Rego number is LSCTR. Give me your suggestion by the 31st May 2013, 5:00pm. If we think you've hit the nail on the head, we'll grant you a $100 voucher to spend at Let's Scooter. One name suggestion per person. Suggestions will be posted here on Facebook and the first unique suggestion will be accepted. You will be notified by email within 48 hours if someone has already made a duplicate suggestion. To introduce and celebrate Blackbird Motorcycle Wear, Let’s Scooter is hosting an evening to launch this exciting new range to our customers. This will give the public an opportunity to meet the designer behind this fabulous new range of women's motorcycle wear. Belinda McPhee started designing the Blackbird range because as a rider she was unable to find fashionable motorcycle wear that suited. Her desire to find clothing that did not compromise safety took her on this exciting journey. On the 22nd May 2013, we will raise a toast to Belinda for giving us women riders such a wonderful new product. New designs are currently in progress and I’m hoping Belinda will have some samples available for a sneak preview of what’s to come. Zues release a new 3 in 1 helmet. The new Zues 611A converts from open to full face in a matter of moments. 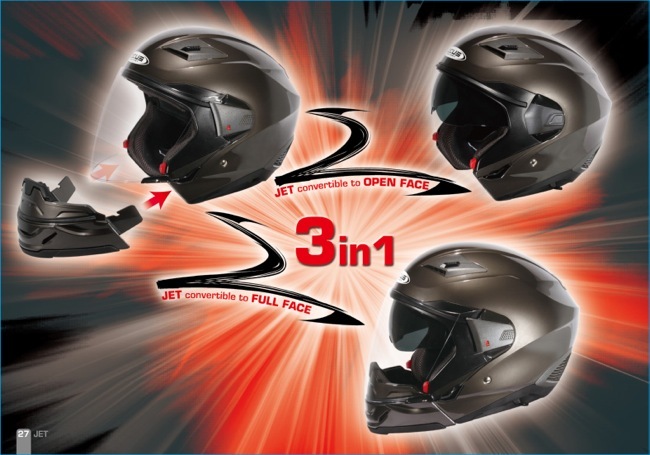 2 Wheel Importers is excited to announce the latest addition to the popular Zeus helmets range. 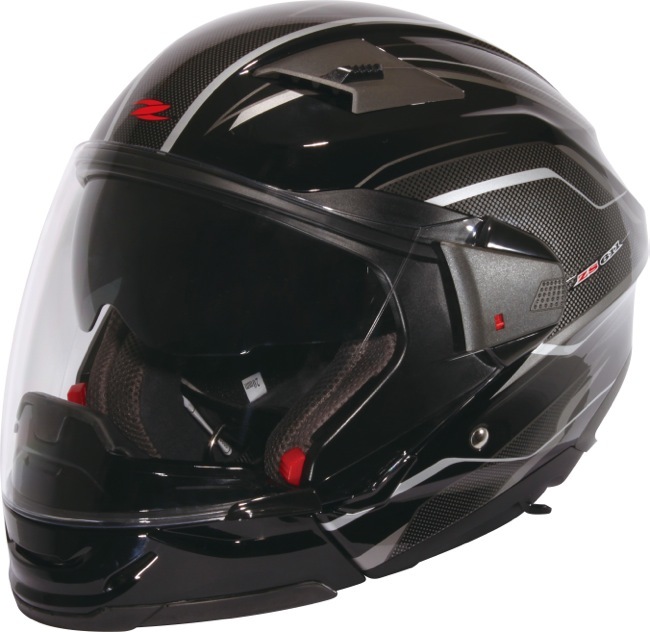 Zeus helmets continue to offer outstanding value for money without sacrificing comfort, safety or features. The new 611A helmet is a prime example, featuring the trademark Zeus comfort liner, external ventilation and a jet pilot style internal sun visor. The comfort lining, originally designed to withstand the rigorous temperature and humidity extremes of Taiwan and South East Asia, is equally welcome in Australia’s humid climate. 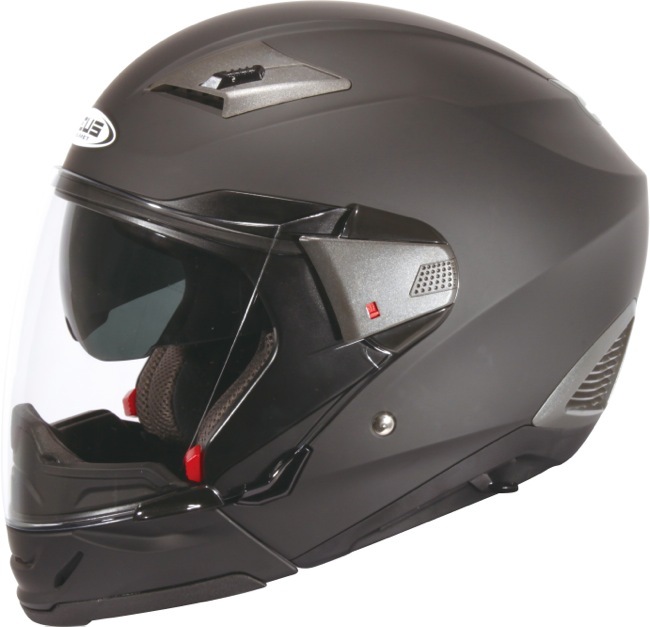 The 611A helmet is ideal for urban commuting or inter-urban cruising and for any rider or pillion looking for a modern jet style helmet with the added practicality of a removable chin guard that converts the helmet from open face to full face. The colour choices are Matt Black, Gloss Black/Silver or Gloss White/Silver. 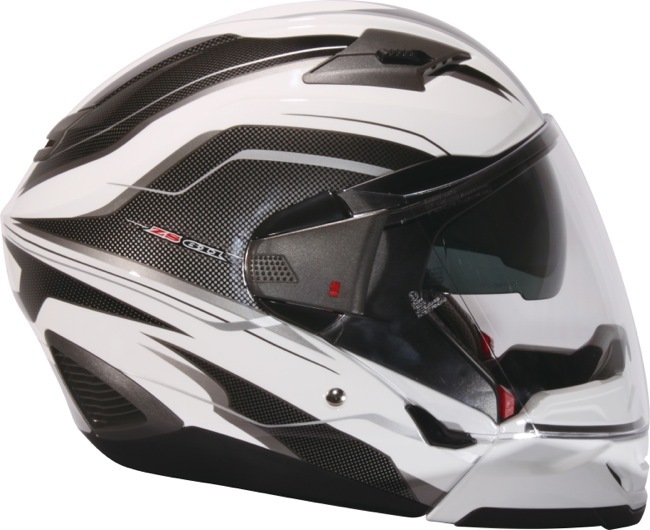 The 611A helmet is available is sizes XS to XL for $259.95 and will be in Australia by mid 2013. 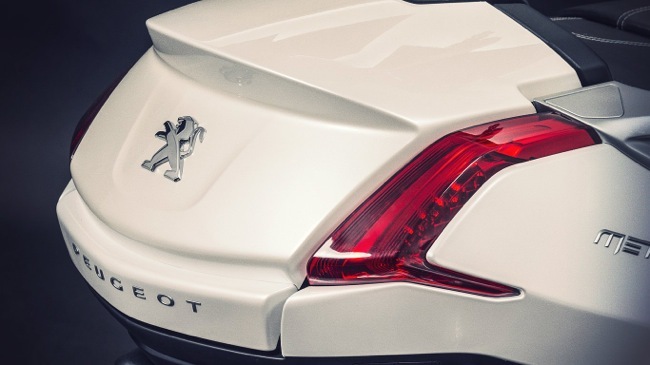 A proud moment for Peugeot as a brand, the Metropolis to be released across the French dealer network this May. 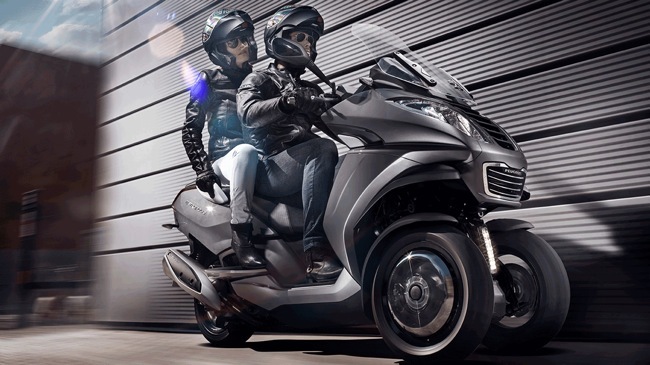 Piaggio's MP3 has been an extremely popular model in France, a top seller. So much so that French manufacturer Peugeot has built their own version to compete in the 3 wheel sector. The Metropolis has been on the drawing board for a few years now, I remember seeing the first concepts in 2010. As of May the 2nd, the Metropolis will be launched across the French dealer network. Watching the video it's obvious Peugeot are proud of their achievements in building this machine. This is a scooter completely designed and built from the ground up in France. The Metropolis uses a Dual Tilting Wheel (DTW) system on the front, you can see from the video and pictures how radically different this is from others on the market. 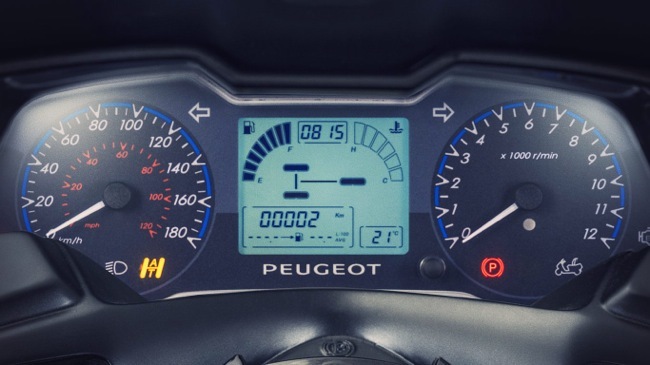 The Metropolis also features an all-new Peugeot built 400 cc engine. Other unique features include on-board tyre pressure sensors and LED run lights. I do like the front wheel design. We no longer see the Peugeot scooter brand in Australia and the 3 wheel scooter thing really hasn't lived up to its potential here. That said, the benefits behind 3 wheels are significant, clearly improving the levels of grip in cornering and braking. 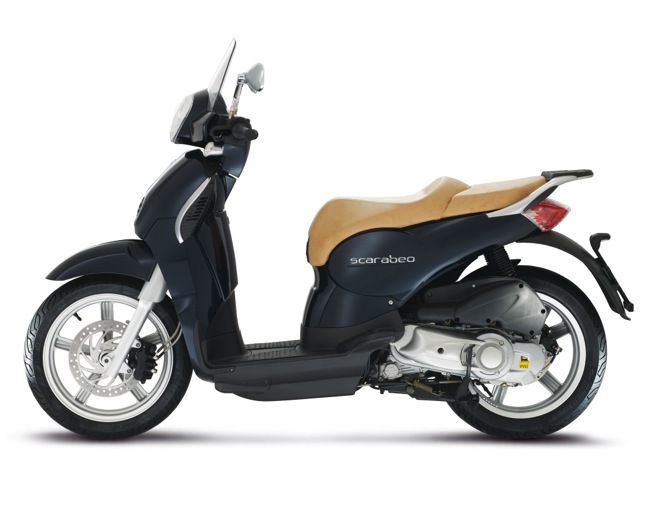 Piaggio's MP3 in Australia will soon be replaced by the smaller Yourban 300, so we'll see what the future holds for us there. The official release for the Vespa 946. A trip into the future whilst respecting the past. Piaggio, the company that designed and manufactured the iconic Vespa over 65 years ago have released production details of the stunning and widely anticipated new Vespa 946. 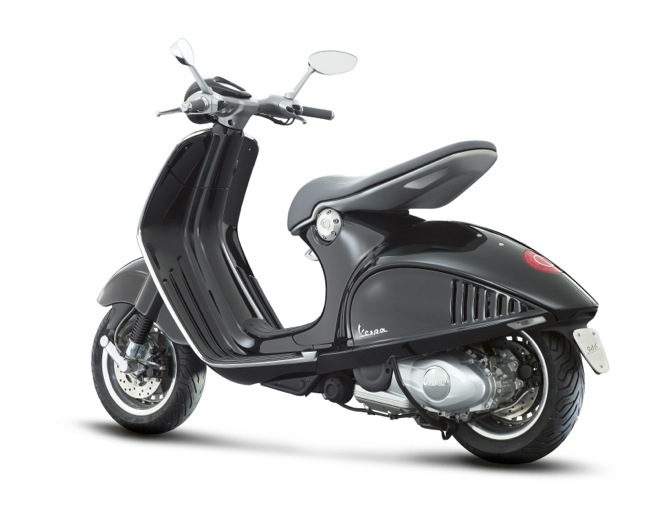 The "Vespa 946" attracted unprecedented attention when unveiled at the Milan Motorshow, EICMA in 2011. The beautifully sculptured model captured the hearts and minds of all who saw it and while originally conceived as a concept model only, Piaggio, overwhelmed by world wide interest, announced in 2012 the dream would become a reality with a limited 'one off' 946 production run. 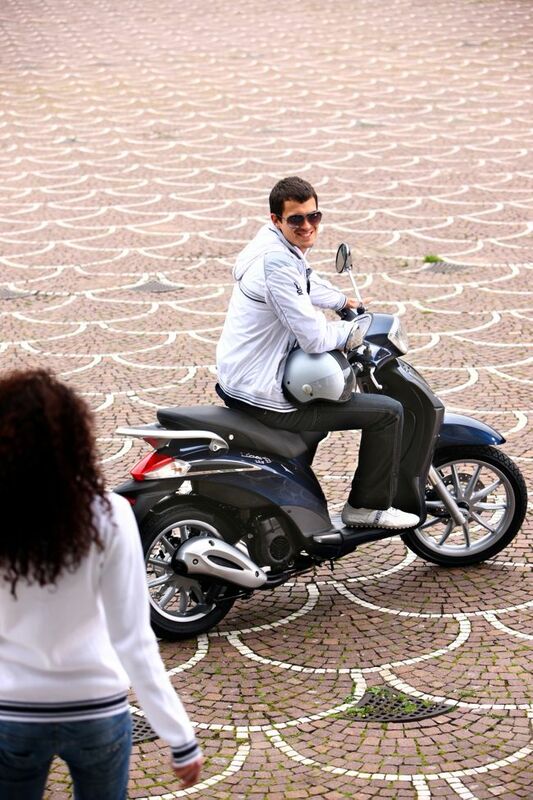 Piaggio now confirm production will commence toward the end of 2013 with countries offered one chance to place bike orders. 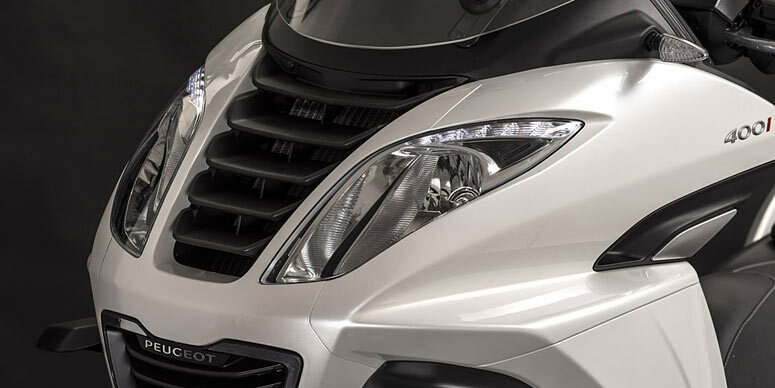 Piaggio will commission a production line in its Italian factory to build the orders. On completion the line will be decommissioned and the 946 will no longer be built. For the Australian market the 946 will have the newly developed and more powerful 150cc engine and will be available in March 2014. The amazing 946 continues Piaggios devotion to the original Vespa concept, acknowledging styling from the first MP6 Vespa prototype and taking the 946 name from the abbreviated first year of Vespa production, 1946. The model however is a totally new ground up design taking the essence of the Vespa design into a technologically advanced future. Vespa Australia Sales Manager Gavan Moody says, "the 946 will be a pivotal model in the brands history providing a window into the future of the iconic brand while paying respect to its very origins" further adding, "The very limited, hand built production run means the 946 will be a stunning and highly collectable classic" also noting "the interest in this model is unprecedented with numerous dealers already holding deposits". Like all Vespas the technically distinctive element is the body, a single steel component providing the support function for the engine and transmission. The 946 however is a totally new and a decisive break from the highly successful shapes of the current LX and GT models. For the 946 components of alloy are incorporated into the panel, trim and fitting design. 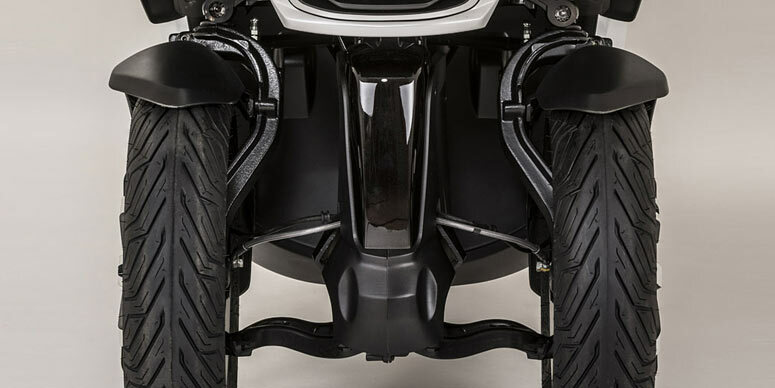 The new design sees the rear shock absorber, for the first time on Vespa, horizontally mounted inside the body through a pivot system to highlight the clean rear line of the 946. 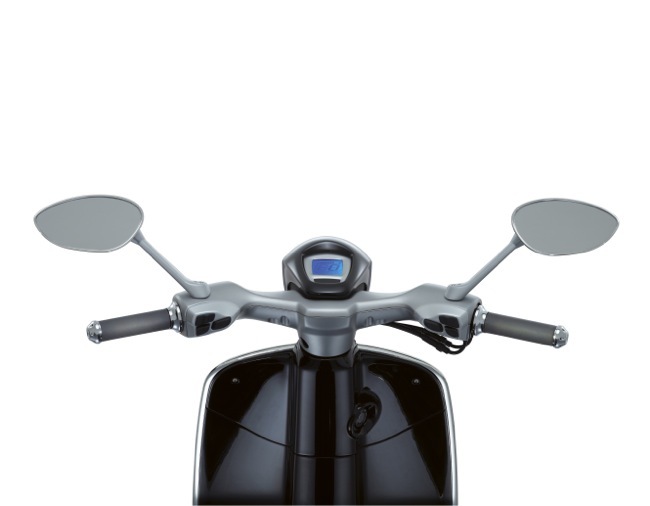 The front retains the originality of the single sided swing arm design, another feature synonymous of every Vespa. The front wheel fender, in aluminium, covers with elegance the 12 inch split rim wheel, with the same size and design on the rear. The braking system, in search of maximum safety is front and rear discs and comes with ABS standard. 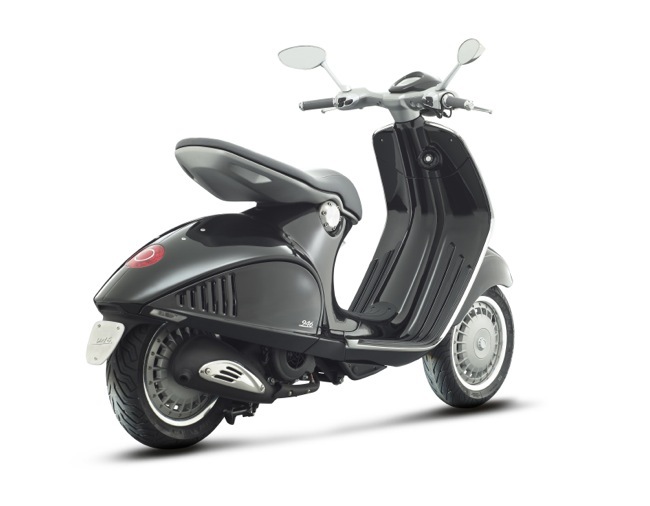 Another first for Vespa is the inclusion of the Piaggio developed ASR traction control. The saddle, mounted on a machined and hinged aluminium support, is an extraordinary design element, gracefully complimenting the overall design of the Vespa 946, yet highly functional. The lights, full LED, are another distinctive element of the Vespa 946. Power comes from the all new single cylinder 150 cc 4 stroke, 3 valve, air cooled engine with electronic injection and represents the Piaggio Group's state of the art technology in scooter engines. The use of roller bearings reduces the noise and internal friction while providing excellent mechanical efficiency. Service intervals scheduled at 10,000 klm significantly reducing maintenance cost. Black and white colours have been confirmed with one further colour yet to be announced. Go to www.vespa.com.au for more details. Until the 30th of June save on Honda scooters. Save $300 on PCX125 and $200 on Dio110. 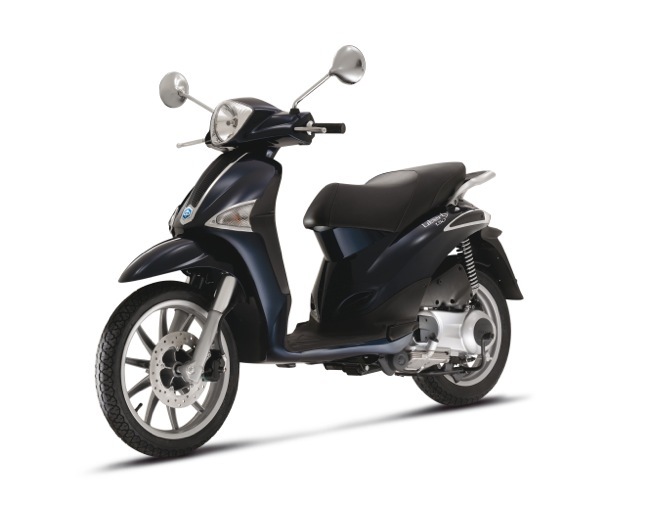 Discover why so many people love to scoot around town on a Honda Scooter before June 30, 2013 and enjoy $300 HondaDollars* with the innovative PCX125 and $200 HondaDollars* with the dependable Dio110. Ideal for commuters looking for a fuel efficient, fun ride around town, these learner approved Scooters from Honda boast Honda's famous quality and durability while showing off fashionable good looks. 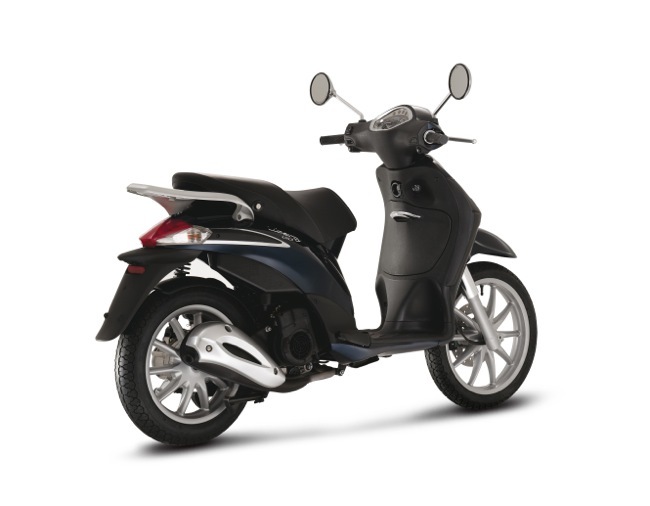 Powered by a lightweight, liquid cooled engine, the PCX125 features a Honda PGM-FI fuel injection system that ensures seamless, effortless power delivery via the smooth V-belt transmission, while also reducing emissions and fuel consumption. 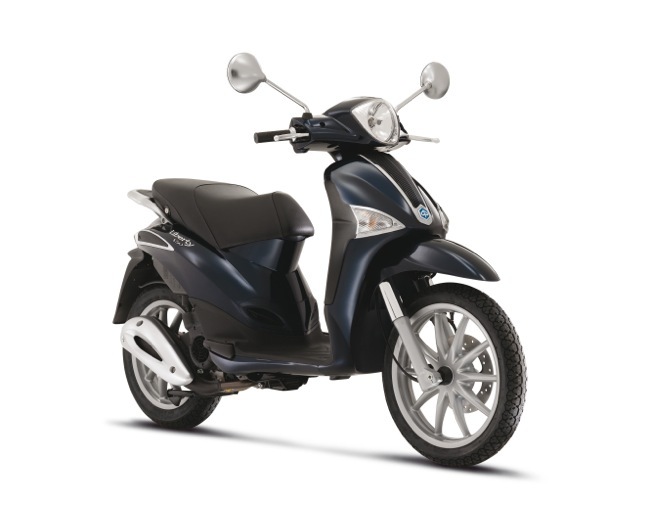 The stylish yet practical Honda Dio Scooter is a compact power-package designed to meet the broad needs of the commuter market thanks to its lightweight, compact 110cc engine which offers ample performance together with superb fuel economy. Controlled by an advanced programmed fuel injection system (PGM-FI), the engine uses finely tuned injection technology to meet and indeed exceed the most stringent global standard for eco-friendliness. 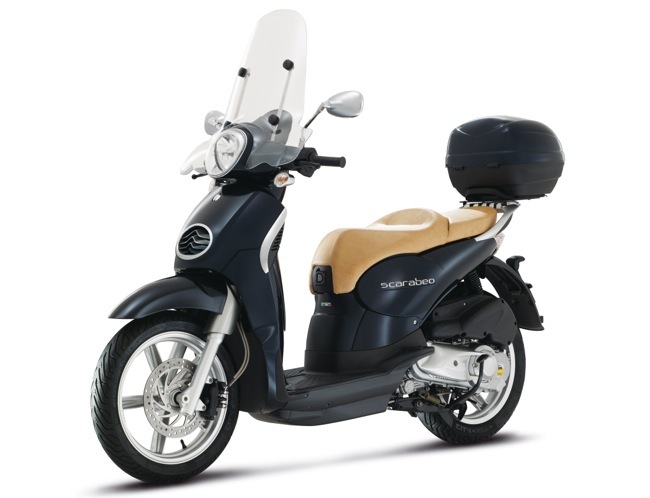 The combination of excellent ergonomics for rider comfort and spacious storage capacity to hold a bag, books or other personal items, a Honda Scooter is the perfect mode of commuter travel. HondaDollars can be used at the time of purchase towards the purchase price or in-store towards accessories or for servicing. See your Honda Dealer before June 30, 2013 for these offers. 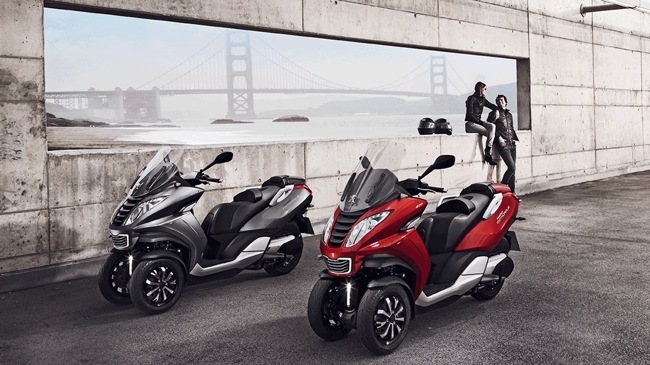 After much anticipation, Honda's brand new, LAMS approved 500cc series started to make their way into Honda Dealerships nationally last month. With three distinctly styled variations, the CBR500R, CB500F and CB500X all share a common frame and engine and offer riders excellent handling and advanced performance. The new trio are all powered by a lightweight, compact 500cc, parallel-twin, liquid-cooled, DOHC engine which focuses on high-rpm output characteristics while considering the low-to-mid rpm range that will be most frequently used by the entry user. 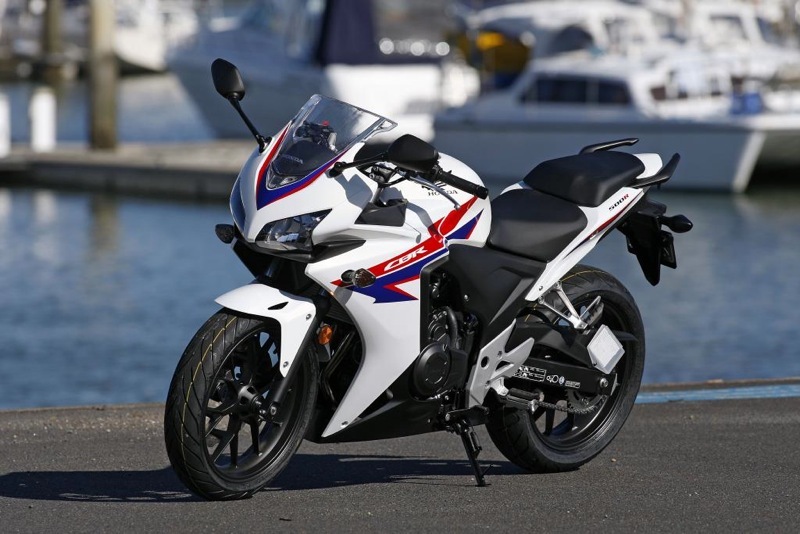 Ideal for budding sports riders or those wishing to scale back from a larger supersports machine, the new CBR500R is a fully faired sports machine that offers easy handling and a relaxed riding position. Aiming for a modern European style, the naked CB500F boasts individuality in design, easy-to-manage chassis weight, dextrous handling and low seat position, ensuring it is the perfect entry level machine to ride around town. Taking inspiration from Honda's 1200cc V4 Crosstourer, the CB500X will excite the most adventurous rider thanks to its upright riding position and on-road/off-road practicality. Dedicated to providing the utmost rider confidence, the CB500F and CB500X will both feature an ABS braking system, while the CBR500R will come with ABS as an option. With a low seat height, light weight and slim styling Honda's popular CBR250R has been a favourite in Australia since its introduction. Powered by an incredibly efficient 249cc, liquid-cooled, single-cylinder engine which features a sophisticated four-valve, DOHC cylinder head, PGM-FI fuel injection and more, the CBR250R is a dependable lightweight machine. Delivering nimble handling and a broad spread of easily accessible power the CBR250R boasts excellent fuel efficiency and low operating costs. This exciting offer is only available in May, June and July 2013. See your Honda Dealer today and finance your new CBR500R, CB500F, CB500X or CBR250R with Honda MPE Financial Services to go in the draw.